NOTE: This Special Feature page is a consolidation of articles previously posted on other Kaigun pages. A new posting today covers Ceram, Moluccas, Netherlands East Indies' Oil Field Under Imperial Japanese Navy Control. 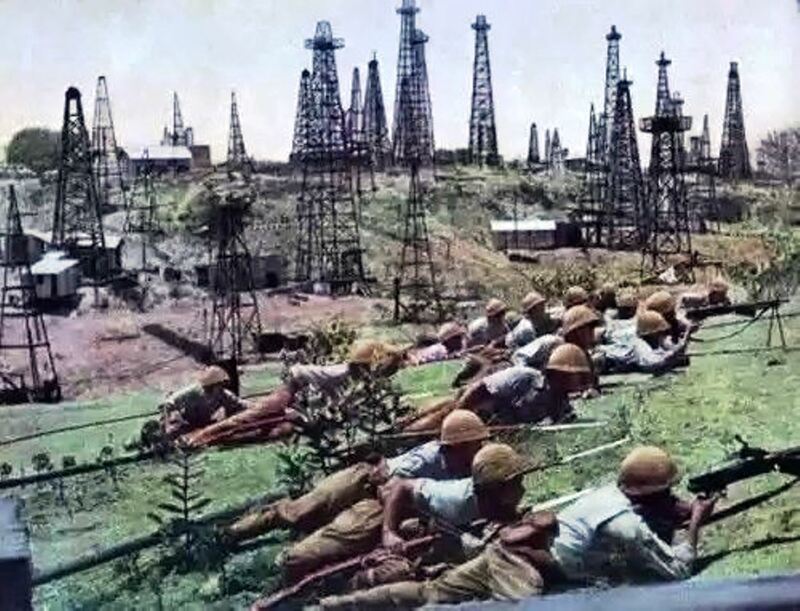 Oil was a key factor in the Empire of Japan's decision to go to war with America. After Japan occupied southern French Indochina in the summer of 1941, the United States, Great Britain and the Netherlands East Indies placed an embargo on all petroleum products into Japan. Just before their attack on Pearl Harbor, Japan had only 49 merchant tankers of about 587,000 tons and the IJN had but nine slow fleet oilers. Despite its prewar stockpiling of two years of petroleum products, Japan had to rely on imports from its conquered South Asia territories for survival.